Note: * 1st time played. Note: Carlos Santana meets with Archbishop Desmond Tutu at the offices of the Desmond & Leah Tutu Legacy Foundation, at the Waterfront in Cape Town. He offers his services to Tutu to start a new movement for peace. Carlos Santana says it is his dream to help bring world leaders of impeccable morality - such as the Archbishop, the Dalai Lama and the Pope - together to begin to change the world for the better. The Archbishop responds that although he doesn’t feel he’s in the same league of moral leadership as His Holiness or the Pope, if the musician starts such a movement, he would support it. Note: First show ever played in South Africa. Note: TV show. Broadcast on same day on Spanish TV Antena 3. 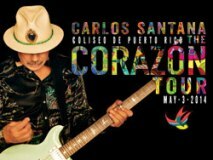 Carlos Santana is interviewed by host Pablo Motos for the promotion of Santana’s upcoming 30th album "Corazon" released on May 6, 2014. 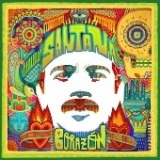 Note: Santana Band’s conguero from 1972 to 1990. Note: 78-min. segment broadcast in 2014 on American TV AXS TV. May 6 Tue: Release of "Corazon"
The DVD includes The Making Of Corazon. 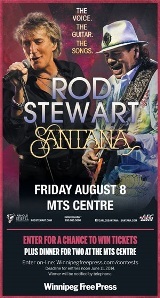 Note: Carlos Santana is guest of Rod Stewart for 6 min. on: I’d Rather Go Blind. Note: TV show. Broadcast on American TV ABC on May 14, 2014. 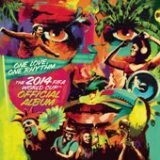 May 13 Tue: Release of "One Love, One Rhythm - The 2014 FIFA World Cup Official Album"
Note: TV show. Live broadcast on American TV WABC. 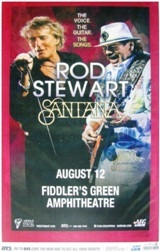 Note: In the same evening, Carlos Santana is guest of Rod Stewart on: I’d Rather Go Blind. 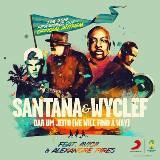 Note: Carlos Santana, Wyclef Jean, DJ Avicii, Alexandre Pires play the official anthem of the 2014 FIFA Soccer World Cup “Dar Um Jeito”. 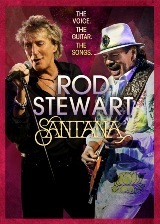 Note: In the same evening, Carlos Santana is guest of Rod Stewart. 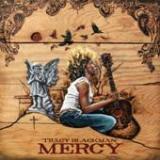 Sept 9 Tue: Release of "Corazon: Live From Mexico-Live It To Believe It"
Note: TV show. Broadcast on Feb 12, 2015 on American TV PBS. 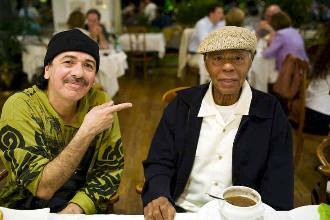 Carlos Santana is interviewed by Harry Belafonte. Note: Live broadcast on American TV Fox. 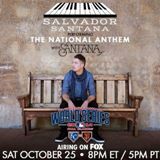 Carlos Santana and his son Salvador Santana perform the U.S. national anthem prior to Game 4 of the 2014 World Series. The San Francisco Giants beat the Kansas City Royals 11-4. 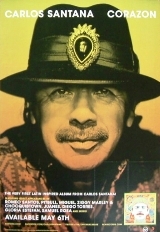 Note: Cowritten with Ashley Kahn and Hal Miller, the book takes an intimate look at Santana’s life, from his childhood in Mexico and his early days playing music in Tijuana strip clubs to his emergence as a pioneer of Latin rock and psychedelia to his late-career success with the “Supernatural” album and beyond. 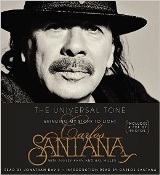 Note: Carlos Santana is signing books on the release of his memoir "The Universal Tone". 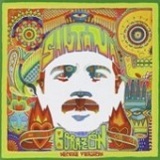 Note: Santana bass player Benny Rietveld plays on another track “I’m Alive”. Note: Complete performance broadcast on same day on American TV Univision. 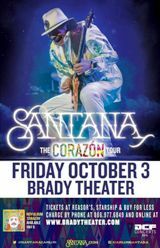 Carlos Santana plays with Pitbull for 5 min. on: Oye 2014. Note: Hosted by Cheech Marin. 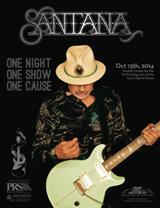 Promoting his book "The Universal Tone", Carlos Santana discusses his life and music. Note: Hosted by Ben Fong-Torres. 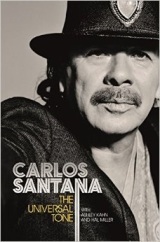 Promoting his book "The Universal Tone", Carlos Santana discusses his life and music. Note: Hosted by Cheryl Jennings. 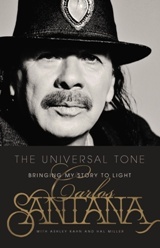 Promoting his book "The Universal Tone", Carlos Santana discusses his life and music. Note: Carlos Santana is guest of Lenny Kravitz for 7 min. on: Are You Gonna My Way. Carlos Santana’s wife Cindy Blackman-Santana is drummer of Lenny Kravitz’s band.